The website for the National Gaelic Educational Resource Agency (and creators of this site). A collaboration between a number of Gaelic organisations - the one stop shop for learning Gaelic. BBC Scotland's Gaelic site, crammed with resources for all ages. Listen to the weeks' radio programmes again, check out TV schedules, submit requests, play interactive games and quizzes and much, much more. a section on the bbc site, specifically for education. 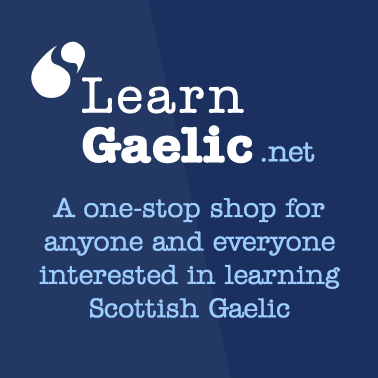 an on-line Gaelic course for adults. a humorous site which supported the popular BBC1 Gaelic shorts. the webpages of Bòrd na Gàidhlig, the Gaelic development agency. the body set up under the Gaelic Act to co-ordinate Gaelic development at statutory level (funders of gaelic4parent.com). Bòrd na Gàidhlig’s own dedicated website on Gaelic language, culture and education. This gives information about Gaelic teaching as a career and also contains a section for parents. The site of the Gaelic Books Council with online sales and contact details for the organisation's Glasgow shop, which stocks all Gaelic titles in print. 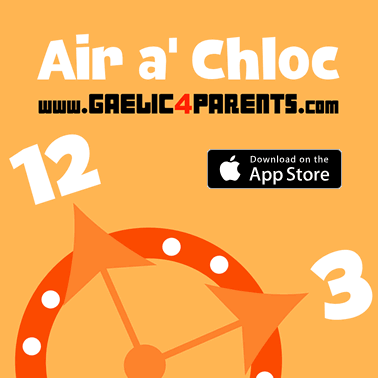 The Ablekids website has Gaelic books for sale. Acair publish a wide range of Gaelic, English and bilingual books. Comunn na Gàidhlig, a Gaelic development body which supports many aspects of education and community activity. The site of the Gaelic Parents' Association. Fèisean nan Gàidheal is the umbrella body for the local fèisean - tuition festivals in Gaelic arts for children and young people. The hub for info on Gaelic youth clubs. The site of the Gaelic learners' organisation, with information on courses across the country for adult learners. The site of Pròiseact nan Ealan has a regularly-updated round-up of Gaelic arts activity. This is a resource for anyone interested in finding out who is developing and delivering Scottish Gaelic arts at all levels. The Gàidhlig section of the Scottish Parliament handbook contains links to Gaelic dictionaries, word-lists, place-names and other Gaelic resources. The Scottish Natural Heritage website has a nature dictionary which may be useful for homework. This is the site of the heritage-arts body An Comunn Gàidhealach, original home of the Mòd. This website supports “Bilingualism Matters”, a project aiming to help more children benefit from bilingualism. The Short Story - A support resource for pupils, students or individuals with an interest in the short stories which appear in Scottish Gaelic literature.